Do you love free things? I sure do! I mean, really, who doesn’t? Although I am sure I could do without some of the free advice I get on occasion. But free, fun things to do in the city? Yes – they do exist! Now that it is summer, the amount of free attractions the city has to offer is astounding. 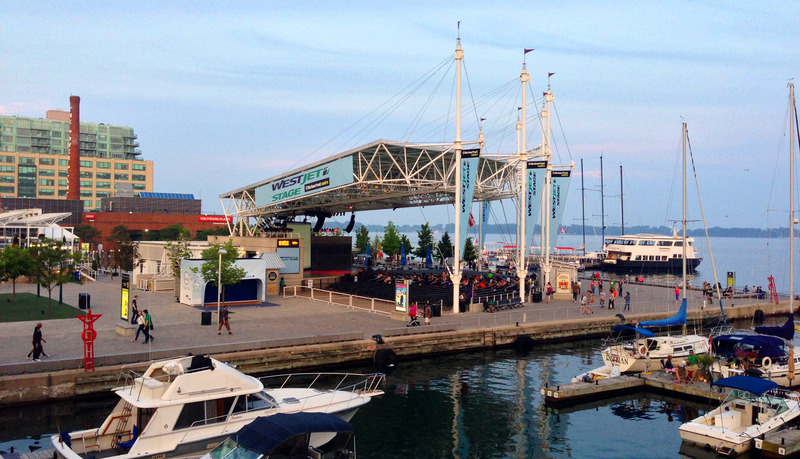 One of my favourite things to do in the summer is to check out the free flicks movie festival at the Harbourfront Centre. It really is a perfect way to spend a Wednesday evening in the city (and a great idea for date night if you want my opinion!). The Free Flicks movie festival always chooses interesting themes for the selection of movies it screens during July and August. I remember checking out the food-themed festival a few years back where they screened Chocolat, and then also going to check out a movie called Amal that was part of an international city/hotbed of culture themed festival (yes, I did say they were ‘interesting’ themes). This year, the theme focuses on geographic fantasy (I am not even sure if that makes sense, but that is what I am going to call it). Pretty much, the festival focuses on films that have created these ‘imaginary’ worlds that only exist on the screen. Hopefully that made things a little more clear? The films start at roughly 9 pm on Wednesdays from July 3rd until August 28th. If you happen to get there a little early, the Amsterdam Brew Pub is right next door where you can grab a bite to eat or just have a drink on one of the many patios. If you don’t have that much time pre-show, you can still get your drink on at the Lakeside Local Stage Bar located right next to where they screen the films. Beer and popcorn while I watch a movie on the waterfront? Could I ask for a more perfect evening? Last Wednesday I was fortunate enough to catch the free screening of Little Shop of Horrors. This movie was definitely a favourite of mine growing up. I used to love belting out “Suddenly Seymour” every time I’d catch it on TV. However, I had no idea that what I was about to watch was the director’s cut of the movie and not the one I remember watching as a kid. Prior to the movie, we learned that the first version of the film wasn’t well received by audiences and so the director altered the ending to make it more ‘upbeat’ and ‘positive’ (even though the original ending was more true to the musical). However, without ever seeing the musical, I wasn’t quite sure what to expect. Needless to say, the ending was dramatically different than what I remember as a kid, but equally as entertaining. I highly recommend checking out the director’s cut if you are a fan of the film. The Free Flicks movie festival is not the only free movie festival in town (more free movies? Hooray!). Both TIFF and Yonge and Dundas Square host their own summer movie festival, along with a variety of other venues in the city. However, I do enjoy going to the movies at the Harbourfront Centre. Fantastic views plus a cool breeze from the waterfront makes for a magical summer night.